This course is designed for the beginning welder who has limited or no welding experience. The emphasis is on basic practical welding of steel for home or farm use. Safety will be emphasized with supervised lab practice in gas welding, cutting, and arc welding. Various welding equipment and welding techniques will be surveyed. Welding equipment and consumables are included. Cost: $425.00 (includes equipment and supplies) Class is limited to 8 participants! 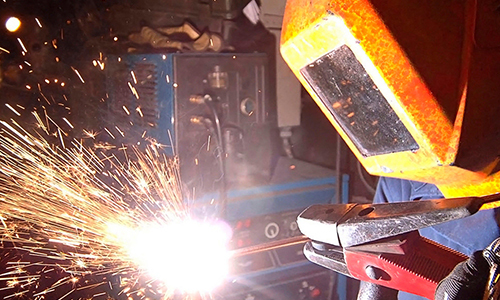 This course is designed for the basic welder who has introductory welding experience. The emphasis is on welding of various materials and techniques. Student chosen projects are often included in this course. Safety will be emphasized with supervised lab practice in gas welding and arc welding. Welding equipment and consumables are included. Minimum enrollment required. Class is limited to 8 participants!